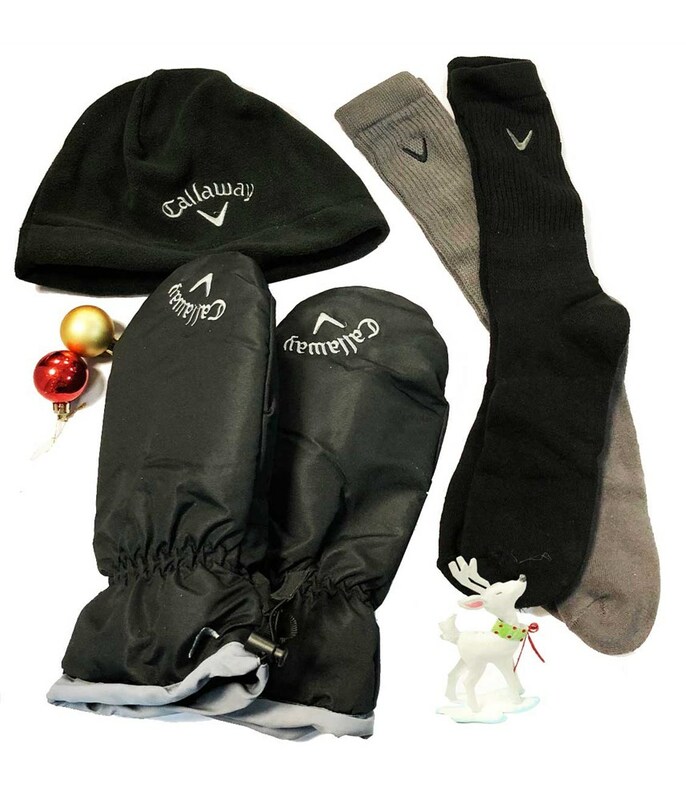 This Callaway gift set is the perfect accessory to help keep you warm and dry during the coming winter months, comes in a presentable box. 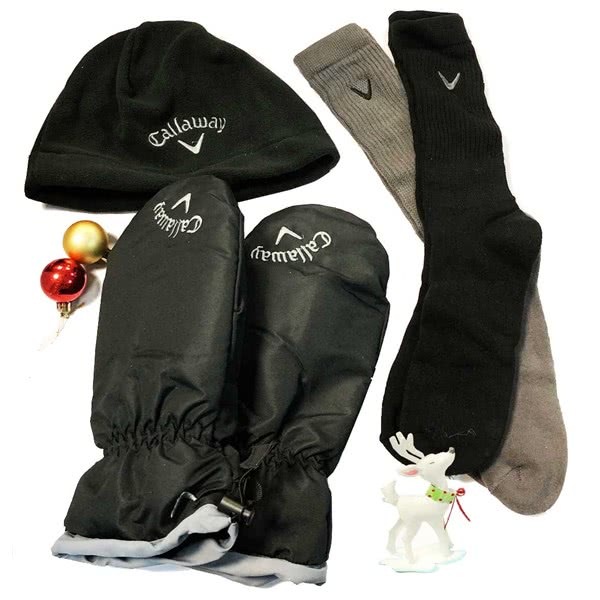 - One size 100% waterproof mittens with warm fleece lining. 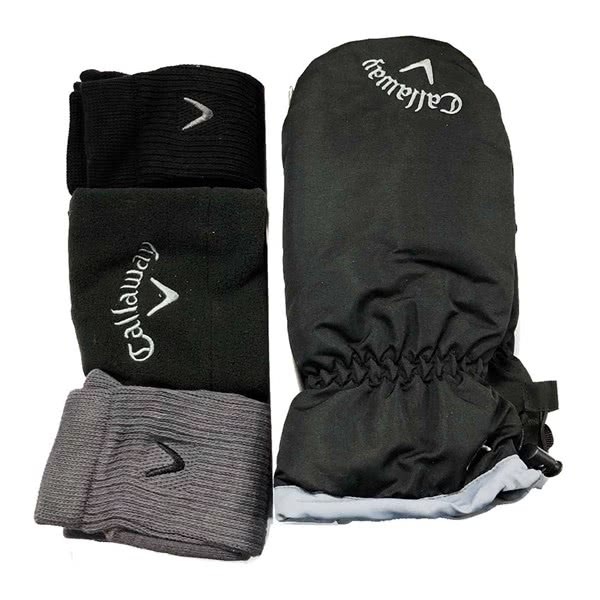 - Waterproof, breathable membrane to ensure hands stay dry. - Individual fleece finger lining for extra warmth. - Water repellent coated out fabric. - Polyester shell and lining. - Made of 90% Textile (100% Woven Polyester shell, 100% Polyester fleece lining) and 10% non textile (Polyurethane) patches on palm. 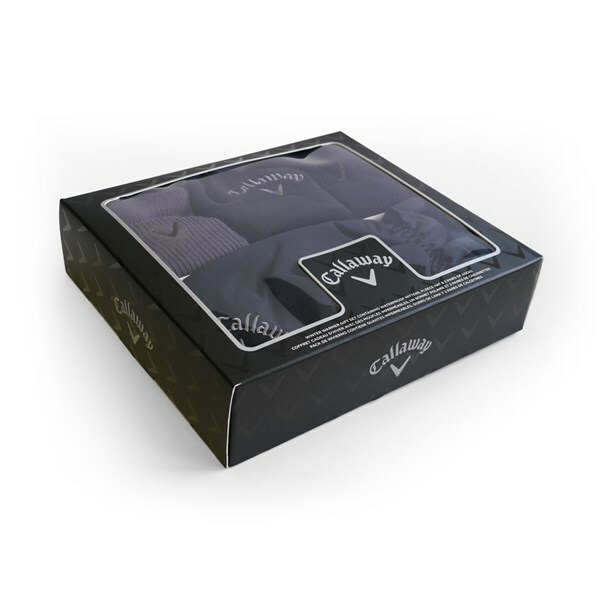 - 1 Pair - cushioned terry lined foot with Callaway logo and contrast heel/toe. 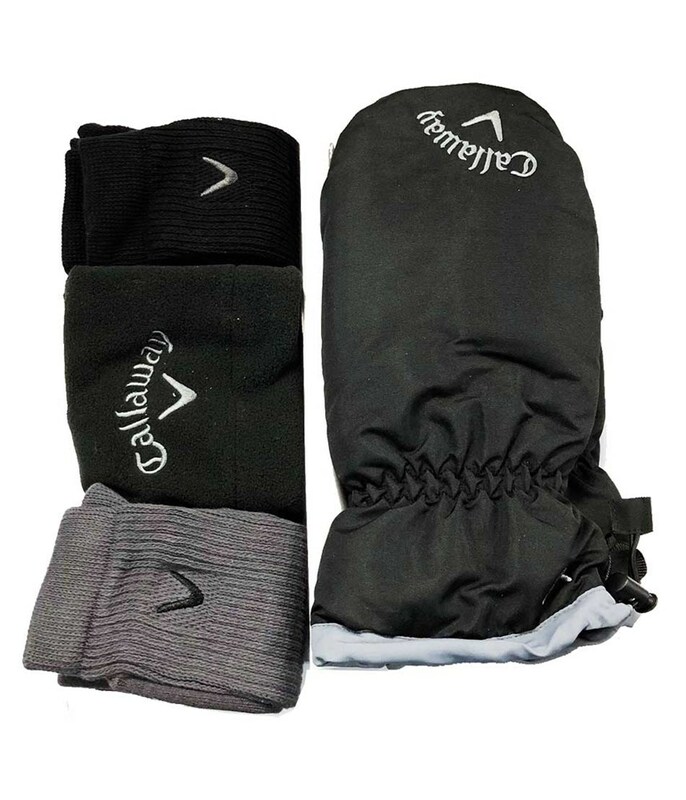 - 1 Pair - ribbed with arch support, embroidered Callaway logo and contrast cuff.